I Need Find Best Local Near Me Luxury Inground Swimming Pools Contractors In Ground Pool Builder We are installers builders of custom In-ground pools concrete vinyl-liner and fiberglass.. . In grounds range from play pools with depths of 3-to-5 feet to diving pools with deeper depths appropriate for the divers in your family. Before you purchase an in ground pool, you need to think about how your family will use it. Do they like to play a lot of water sports? Then maybe a play pool with sports set-ups is the answer. Do they like to swim laps? Perhaps a rectangular design is best for you. Or do you have a combination of swimmers and splashers? How about an L-shaped pool so everyone is happy? Thinking about usage and then designing with those needs in mind is the key to building a pool that your entire family will be happy with for years to come. Okay, let's assume you've decided how your family will use the pool and what your approximate budget is. Now, let's talk about your primary options in an in ground pool. Price: Fiberglass pools are generally more expensive to purchase than concrete in ground pools, but can save you money over the life of the pool. This is because they typically will require fewer chemicals than concrete pools. 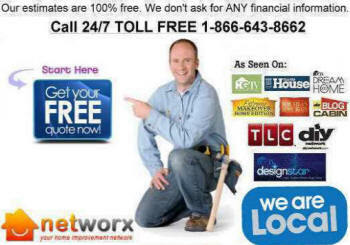 You also avoid future replastering and liner replacement costs. Maintenance: Unlike a plaster finish, a fiberglass shell does not change the chemistry of the water, so you often will use less acid. Because of the non-porous surface, you don't need to brush the pool nearly as often as a plaster-finished concrete pool. However, you typically do not need to brush a pebble-finish concrete pool as often as a plaster-finish pool, so when discussing this option with a dealer, be sure you are comparing apples to apples. Installation: Once your yard has been excavated, the pool is delivered in one piece and installed. Construction time is generally about two weeks. Shock absorbent: What happens if the earth moves? Fiberglass has a shock-absorbing ability that allows it to flex up to 2 feet. However, there also are new concrete construction techniques that allow concrete to flex. So, it's important to remember that if you live in an earthquake-prone area, be sure to have your dealer explain the features and benefits of fiberglass and concrete construction. A concrete pool is -built to your specifications by the pool-builder you choose. 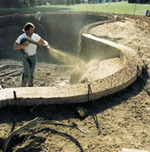 It is the most common type of in-ground pool, and the initial installation generally costs less than a fiberglass pool. Concrete pools are constructed in stages, including pool layout and excavation; steel installation; plumbing installation; equipment set; gunnite or shotcrete application; tile and coping installation; and interior finish installation. Although they take longer than fiberglass pools to construct, they have the advantage of virtually unlimited shapes, sizes and designs. 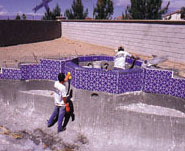 The construction time on a concrete pool is generally three to 12 weeks. Price: The initial installation of a concrete pool is generally less than a fiberglass inground pool. So, if you want an in-ground, but the total up-front outlay is of concern to you, a concrete pool might best fit your needs. Variety of Finishes: A variety of interior finishes is available, including plaster, paint or pebbles. These provide you with several options to best suit your budget and desired design. Weather Resistant: Some industry specialists believe that concrete pools are well-suited to parts of the country that have extremely high summer-time temperatures. Concrete also is perceived by some to function better in areas where the soil is very expansive. Strength: Both fiberglass and concrete are materials of great strength. Talk to your dealer or builder about the implications of your soil type and weather on both types of materials. Weather: Vinyl-liner pools are popular in cold-weather areas of the country. These pools can be easily winterized by draining them down and covering them until the spring. Smooth Surface: The vinyl liner is smooth and nonporous, making stain removal easy if stains are treated promptly. Important laws regarding safety must be considered before choosing your new pool. Specific regulations vary with each community, so be sure you are clear about the letter of the law before installation begins. 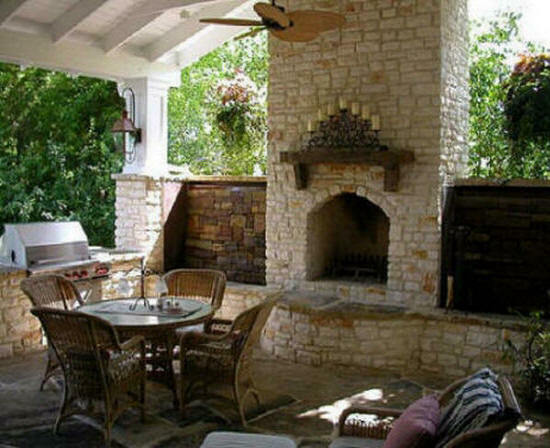 There are myriad other options and accessories available to complete your backyard retreat. Once you've decided on the pool type and style best suited to your needs. When you are having a swimming designed you usually are considering it being designed and built from the bottom up. There are, however, many properties that have an old pool in them, or maybe one was started and not finished, or even worse, neglected and a bit of an eyesore. Designer Properties can handle all types of Swimming Pool Refurbishments and make sure that you are left with a pool you are proud of, want to use, and will increase the value of your property. Repairing and renovatingold pools is a regular source of work for our team and we understand the unique requirements of this type of work. By using our years of experience we can instantly understand the style, quality and build of an old pool. Design modifications to shape, depth, and style tile, stone, brick, and masonry Slides, diving boards, and exercise swim jets Expert deck repairs & replacement Gunite spas, waterfalls, fountains, and lighting. Resurfacing with resilient color quartz finish If you are looking for more information about Swimming Pool Refurbishments then please give us a call. We may need to arrange a visit to look at any projects but will always Endeavour to give a price indication over the phone. You will also not be charged for initial consultations or quotations and these come without obligation. Pool and Installed Retaining Walls. I Need Find Best Local Near Me Luxury Inground Swimming Pools Contractors In Ground Pool Builder We are installers builders of custom In-ground pools concrete vinyl-liner and fiberglass..